With advances in machine learning and sensors, robots are now beginning to share the shop floor safely with staff as well as take on ever more sophisticated duties. However, here in the UK, the simple fact is we don’t have enough of them. The UK only has 71 industrial robots per 10,000 workers, which means we lag behind competitors such as Germany, Japan and China and are below the global average. 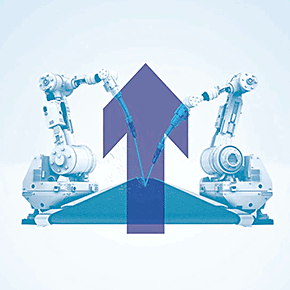 Increasing the use of industrial robots is a key driver of increasing productivity and would help to ensure UK industry remains competitive in a post-Brexit world. Your challenge is to demonstrate how robotics could be used to make an industrial process more efficient. You should consider the wider productivity gains your innovation would realise, and the wider application of your innovation.